You guys, I love themed clothes. I have so many glittery dresses and sequined trousers that I bring out at christmas time, but I realised the other day that I don’t own any christmas jumpers. From Saturday I’m expected to go to work in fancy dress (yay!) 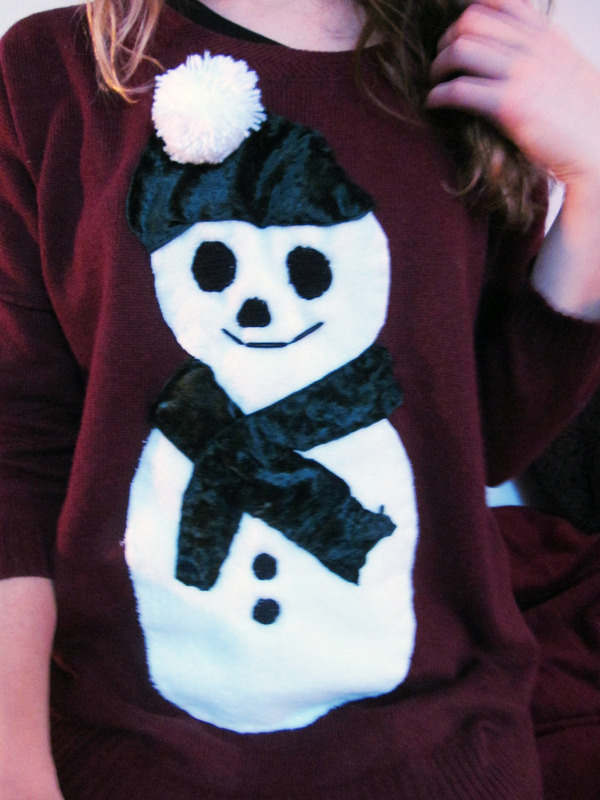 so I thought I’d whip up a snowman jumper. 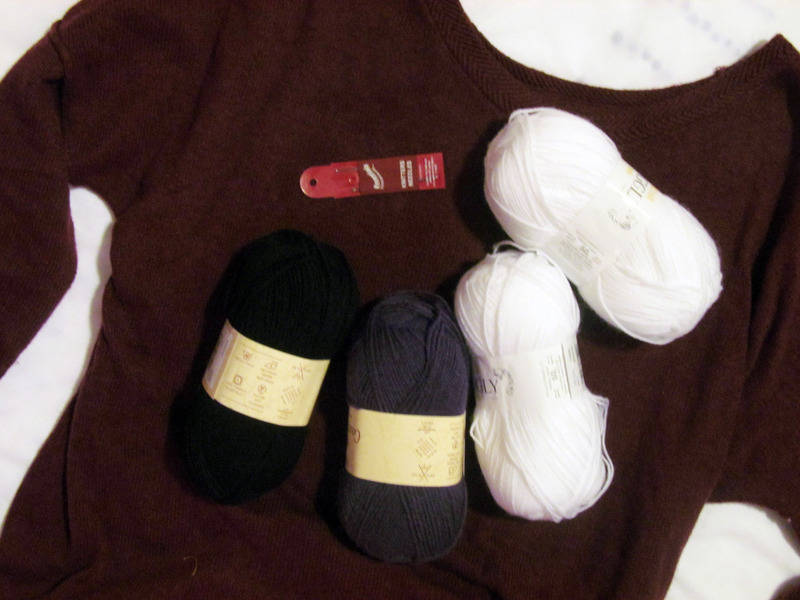 Initially I planned to embroider the whole jumper with wool but when I realised how long that would take me I stitched the main design in felt like these bloggers. 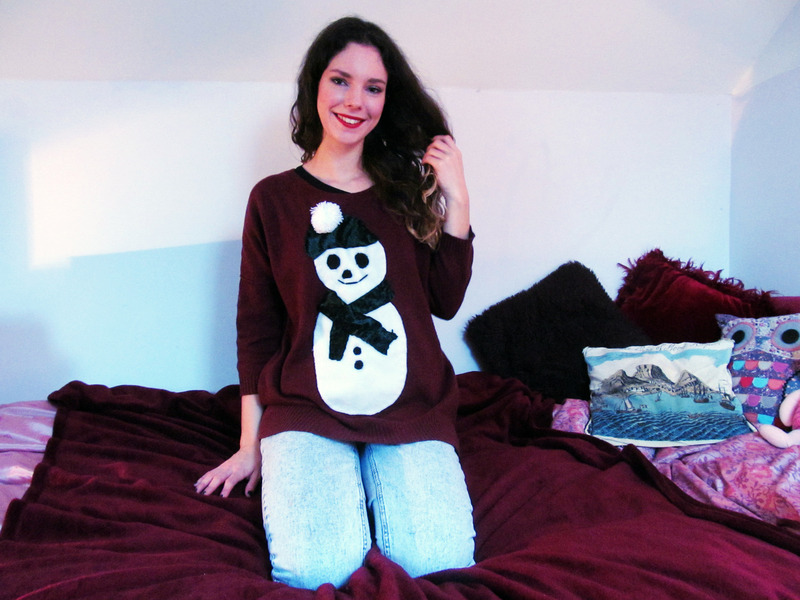 You will need: A jumper(!) mine is from H&M, wool, a wool needle, white fabric and fabric for the hat and scarf, needle and thread, pom pom rings or cardboard. 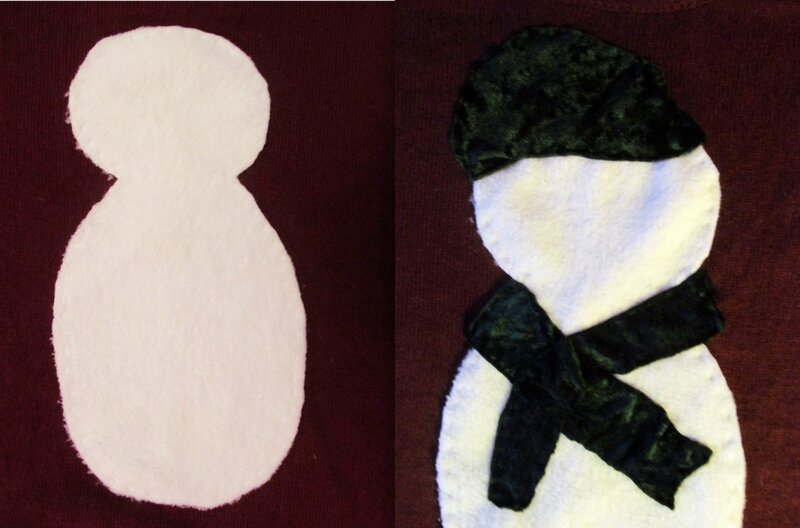 Cut your snowman shape from the white fabric and stitch it to the jumper. Make sure you don’t stretch the jumper as you’re stitching otherwise the design will be crumpled when you wear it! 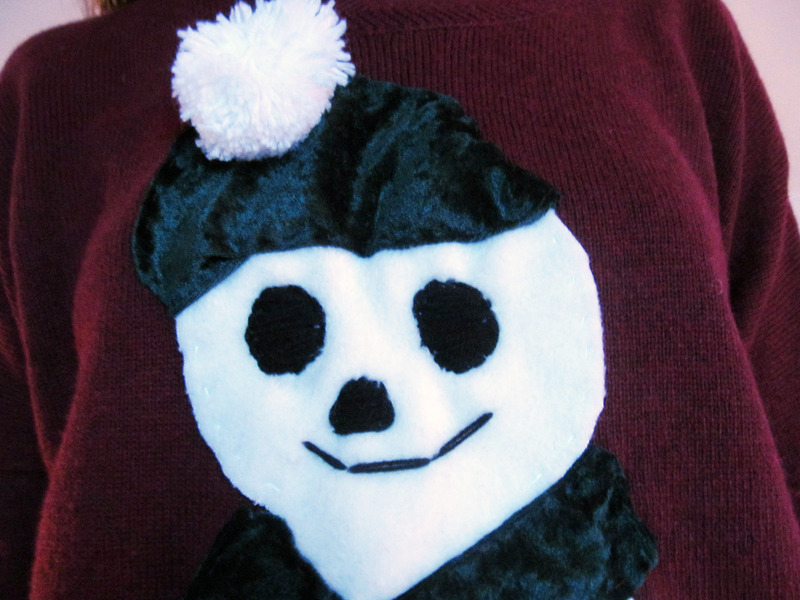 • Cut your hat and scarf from your coloured fabric and stitch it to the jumper • Use your wool and a wool needle to embroider buttons, a nose, eyes and a mouth. Make a pom pom using pom pom rings or cardboard (like this) and stitch to the top of the snowman’s hat. Ta da! 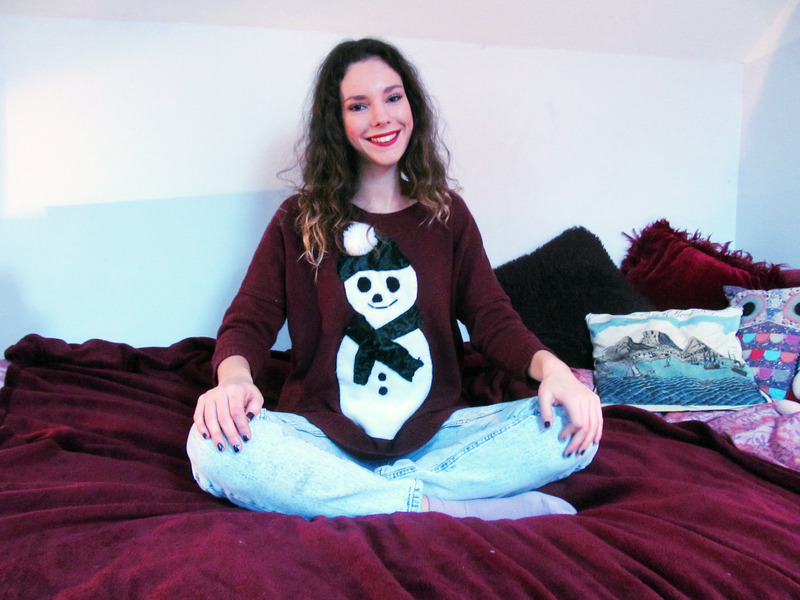 You have a snowman jumper! I hope this is helping you feel festive. I’m looking forward to going to work in my jumper and lots of glittery make up. Do you have any christmas jumpers? This is so creative and cute! You’re so pretty! : ) Keep up the awesomeness. This is THE BEST. I am 100% making one for myself! I love your DYI!!! It looks so cute!! I just posted a holiday nail art tutorial video on my blog! I hope you like it! Nary a Holiday jumper in sight here. Might have to do something about it, now you’ve shown how!